Patricia Highsmith is one of those novelists I’d meant to read for some years–mostly I’ll admit for film-book connection, so when I picked up my first Highsmith, the logical choice was Strangers on a Train. That’s my all-time favourite Hitchcock film, btw, and I was delighted to discover that the book was even darker than the film. Then earlier this year, I read The Cry of the Owl. It’s the story of a wreck of a man who moves away from New York for a fresh start in a small Pennsylvania town. Lonely and depressed, he becomes obsessed with watching the domestic routine of a young woman, and when she catches him (and thinks he’s a peeping Tom), instead of screaming and calling for the coppers, she invites him in. The Cry of the Owl is an exploration of the horrors of small town life complete with gossip, judgment and condemnation, and for any one interested, like me, in film, Claude Chabrol made a film of The Cry of the Owl. But now to Eleven, Highsmith’s first short story collection. After reading Eleven, the main thing that struck me about Highsmith’s work is that she’s firmly rooted in horror. That conclusion surprised me as I considered the two Highsmith books I read primarily as psychological novels. I’m not talking about the slasher type of horror gore, but something that’s harder to peg–something a lot more sophisticated. 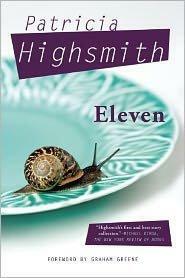 The short stories in Eleven give the reader a concentrated dose of Highsmith’s view of life, and Highsmith’s horror is the horror of everyday life, the suffocating routine and the sometimes-sick power dynamic in relationships, a touch of the supernatural and even in the case of two of the stories in this collection–the horror of snails. It takes a special mind to create two stories in which snails appear as destructive terrifying creatures. These eleven stories cover a range of various subjects. The Barbarians explores bullying and the strain of living under the threat of violence while in The Birds Poised to Fly, we meet Don, a man whose disappointment in love leads to a cruel deception. 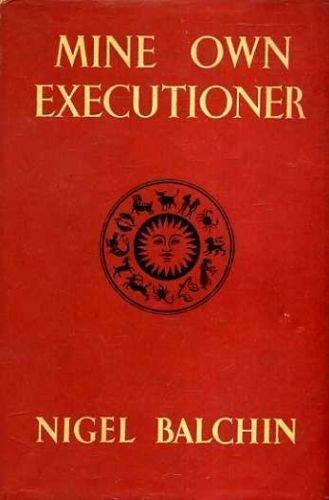 In this collection, some of Highsmith’s protagonists are deranged, others are strange, and still others endure various types of stress until they crack…. a few illustrations now and then for magazines for children, how to make paper pumpkins and black paper cats for Hallowe’en and things like that, though she took her portfolio around to the publishers all the time. His mother put her jewelled bands on her hips. “do you know, Veec-tor, you are a little bit strange in the head?” She nodded. “You are seeck. Psychologically seeck. And retarded, do you know that? You have the behaviour of a leetle boy five years old,” she said slowly and weightily. “It is just as well you spend your Saturdays indoors. Who knows if you would not walk in front of a car, eh? But that is why I love you, little Veector.” She put her arm around his shoulders, pulled him against her and for an instant Victor’s nose pressed into her large, soft bosom. She was wearing her flesh-colored dress, the one you could see through a little where her breast stretched it out. The already-poisonous relationship between this troubled pair turns even nastier when Victor’s mother brings home a terrapin. He sees it as a pet, and to his mother, it’s dinner…. She ran in her silk-stockinged feet to the rag drawer below the kitchen cabinets, tore a big rag from a worn-out towel, and then a smaller one. She folded the big rag to a square lump and on second thought wet it at the sink, and after some trouble because her hands had started shaking, tied it to the front of her nose and mouth with the cloth belt of the dress she’d just ironed and laid out to wear. Then she got the claw hammer from the tool drawer in case she would need it, and went out on the back porch. She drew the straight chair close to the bed, sat down, and unstoppered the bottle and soaked the smaller rag. She held the rag over his chest for a few moments, then brought it slowly up toward his nose. Clark didn’t move. But it must be doing something to him, she thought, she could smell it herself, sweet and sick like funeral flowers, like death itself. Leaving him for dead, she makes a break for freedom and ‘happier days’ spent in Mobile. She still had that combination everyone said was unique of come-hither plus the bloom of youth, and how many girls had that? How many girls could be proposed to by a minister’s son, which was what had happened to her in Montgomery, and then had a life like she’d had in Mobile, the toast of the fleet? She laughed archly at herself in the mirror, though without making a sound–but who was there to hear her if she did laugh–and jogged her brown-blonde curls superfluously with her palms. Geraldine, an unreliable narrator, is reminiscent of A Streetcar Named Desire‘s Blanche Dubois for her insane, or is it highly sanitized, version of events regarding the men who’ve helped her in a comfort-0f-strangers-way?